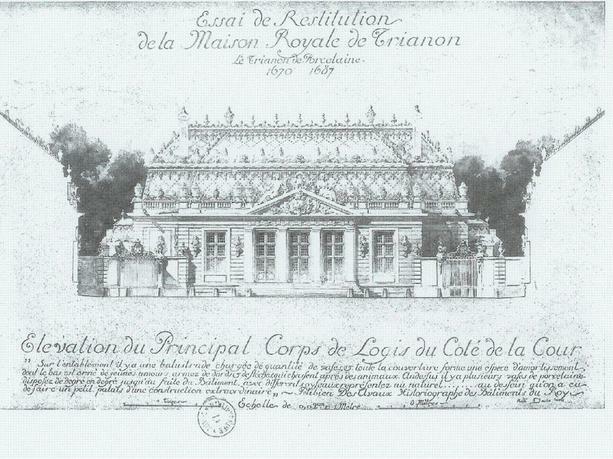 R. Danis, Élévation du principal corps de logis du côté de la Cour & Vue du jardin, La Première Maison Royale de Trianon, 1670-1687, Institut National d'Histoire et de l'Art, 1927. 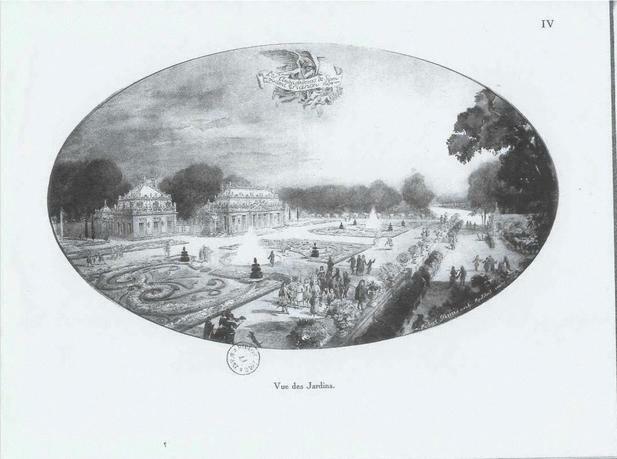 In 1670 Louis XIV added a fanciful palace to Versailles, which became known as the 'Trianon de Porcelaine.' An extraordinary blue and white ceramic roof crowned the structure. The roof design is said to have been inspired by stories about a legendary pagoda in Nanking: the Tower of Porcelain. Little critical attention has been paid to the Trianon's Asian roots beyond the identification of the structure as an early instance of chinoiserie. This study of the Trianon's architecture illuminates what it can tell us about France's relationship to China, and about France's own nationalist aspirations. The project looks at the role of the Trianon's architectural elements at Versailles and compares it to other royal structures; the Trianon's architecture is also explored in relationship to broader economic and political tensions. The project also reveals how the Trianon's exoticism inflected the architectural language elaborated at Versailles. Christine A. Jones is associate professor of French and comparative literary and cultural studies at the University of Utah (PhD, Princeton University, 2002). She has published on fairy tale poetics and pedagogy, early modern performance theory, and porcelain objects and artisans. Currently, her major projects include coediting an anthology of world tales and current critical perspectives, and completing her first book. Her monograph Shapely Bodies: The Image of Porcelain in Eighteenth-Century France is about the cultural significance of porcelain and the experimental potters who invented it artificially for France. The research and writing of this manuscript were generously funded by the Graham Foundation, the French Porcelain Society, and the Tanner Humanities Center where she held an Aldrich Fellowship in spring 2008.